A must have beauty secret is knowing when to toss your makeup. Knowing when to discard makeup is an important part of your overall beauty routine. Knowing the right time to toss cosmetics cannot only keep you always looking fresh and beautiful; it can help you stave off nasty beauty related infections as well. Different types of makeup have different shelf lives. Some products have greater longevity than others, so it's important to know which products should be tossed sooner. Signs that a beauty product should be tossed immediately include any type of bad odor and if the product has changed in consistency, such as a liquid product looking thick, dry, or clumpy. Eye makeup is one of the most important products to keep fresh. Eye makeup tends to collect higher levels of bacteria since it is used on, in and around the eye. Using eye makeup after it should be tossed spreads that bacteria to the sensitive eye area and can cause irritation and infection. Mascara and Liquid Eyeliner: These products should be replaced approximately every three months. If you use them heavily, replace them sooner. Cream Eye Shadows: Discard after approximately 3 to 4 months. Powder Eye Shadows and Eye Pencils: These products should be discarded between six months and one year. Discard eye shadow after 3-4 months if old applicators are re-used. Re-using old applicators in eye shadow introduces bacteria, so use fresh disposable applicators, or use high quality makeup brushes and wash them regularly to keep bacteria at bay. Sharpen kohl eye pencils weekly to keep them fresh. Also avoid adding water or any other foreign substances to mascara or other eye makeup. This can cause the microbial and mold growth, making the product unhygienic to use. The foundation of your face sets the stage, and you want to keep your makeup fresh to look your best. If you're unsure of when you purchased the product, any change in color or consistency of foundation or face products can alert you when to discard makeup for a fresh face. Liquid Foundations and cream to powder foundations: Discard after approximately one year. Concealers with application wands or concealer sticks: Discard after approximately six months. Pressed and loose powder and powder foundations: Facial powder products can last up to two years if applied with clean brushes or puffs consistently. If you are not consistent about cleaning brushes or applicator puffs, keep no more than a year. Cream and Gel Blush: Liquid containing cosmetics typically need discarded sooner that dry makeup. Discard cream and gel blush after approximately six months. Powder Blush: Replace powder blush between six months and one year. Keep your pout perfectly pretty by keeping lip makeup fresh. Lip Gloss: Lip gloss, especially those with wand type applicators, should be discarded after six months. Lip liner and lip pencils: Discard after one year. Sharpen weekly. Lipstick: Discard lipstick between six months and one year, sooner if it becomes sticky, dry, or flaky. Fragrances: Perfume, cologne, body sprays, and other fragrances have a substantial shelf life. Discard after three to five years. Nail Polish: Discard after one to two years, sooner if it becomes sticky, clumpy, or difficult to apply. Gel, Cream, and Liquid facial cleansers: Discard after approximately one year. The debate is still out on the shelf life of mineral makeup. Since ingredients do vary form brand to brand, use the recommendations specific to your brand of mineral makeup. 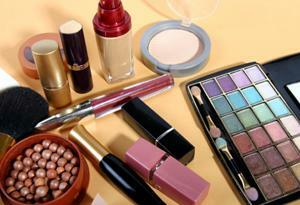 Some experts believe mineral makeup can be safely used up to two years, while others suggest discarding it sooner. In any case, if your mineral makeup becomes wet, discard immediately. Maybe you've experienced purchasing what you thought was the shade of perfect blush, or the to-die-for eye shadow, only to find out at home the color just doesn't suit you. After spending your hard earned money on makeup, it can feel tempting to keep items, even if they aren't right for you, but avoid that temptation. Discard any products immediately that don't work with your coloring, or that you just don't like. Investing in a color consultation to find the right makeup colors for you skin tone can help you avoid making costly color mistakes, but won't solve every makeup mishap. Just know that sometimes you may end up with a product that doesn't work for you, and don't feel guilty about discarding makeup that doesn't make you look and feel fabulous!